Looking for privacy? Look no further! This lovely 5 bedroom home offers large master suite on main level with tile walk in shower, jetted tub and walk in closet. The open floor plan offers vaulted ceilings in the den complete with built-ins, gas log fireplace (propane), kitchen with island, eating area and stainless steel appliances. This home also offers a formal dining room, great laundry room and secondary bedrooms and full baths upstairs. Outside is a covered front porch, open deck on the back of the house and a workshop complete with power! 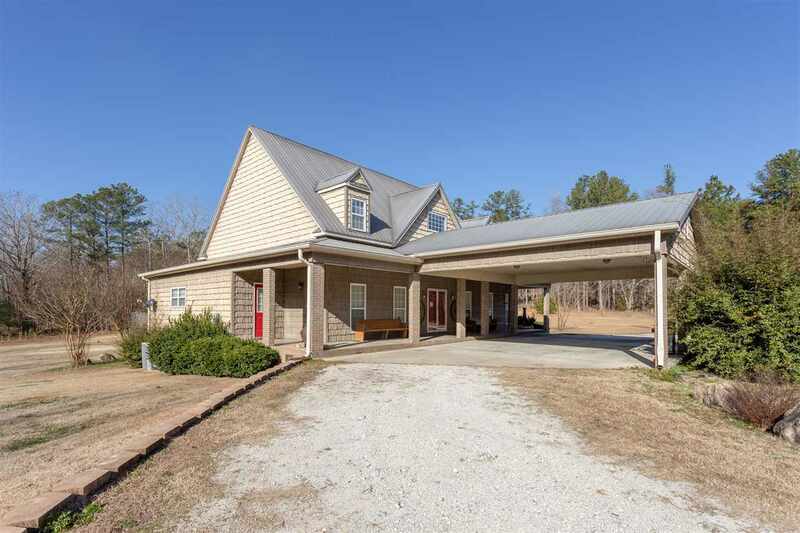 This home is a must see and just minutes outside of Jacksonville! Call today for more information or to schedule your personal viewing! Driving Directions: Hwy 21 North, Left On Roy Webb Left Of Foster West Rd, Mailbox On Right, Street Sign For The House Will Be On The Right And Has Austin On The Sign. No Real Estate Sign.